Understand how to use Apex callouts and workflow with Heroku. Understand the use cases for Apex callouts and workflow. Sometimes events on Salesforce need to be handled by an external system due to the scale or type of process being executed. For instance, a user in Salesforce uploads an image that needs to be resized for future use. Heroku can receive an event from Salesforce and perform some process in response. Optionally, the output of the process could be stored back in Salesforce using the REST APIs or Heroku Connect. There are two primary methods to call a Heroku app based on an event in Salesforce: workflow outbound messages or Apex HTTP callouts. 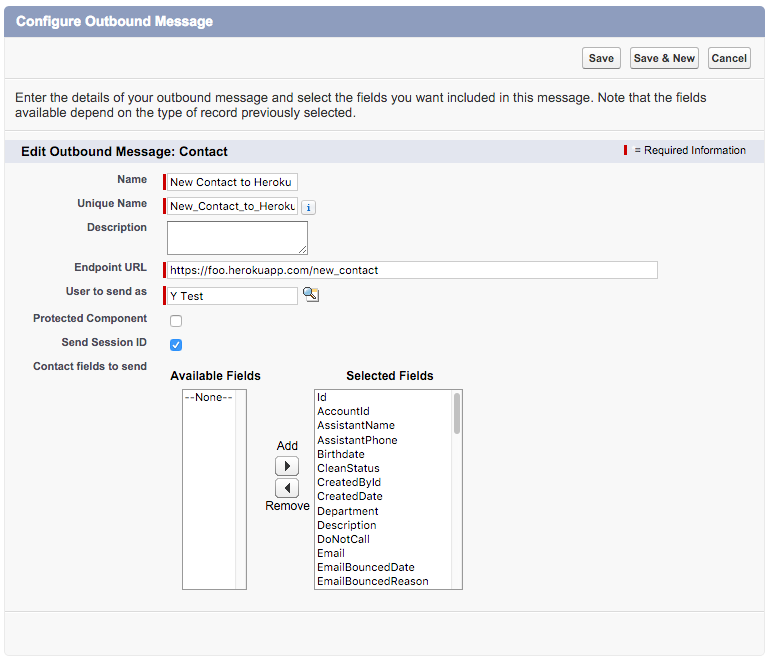 A workflow outbound message declaratively makes a SOAP call. An Apex HTTP callout programmatically makes a REST call to a Heroku app. Either way, the Heroku app receives a request with the event details payload and then performs the action. 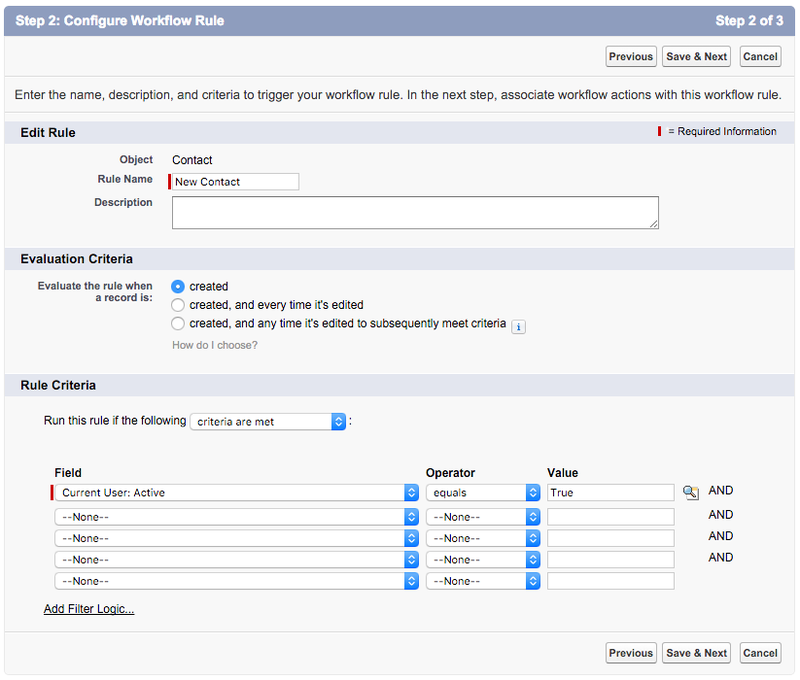 To learn more about Workflow in general, check out the Automating Time-based Actions with Workflow Trailhead Unit. If you select Send Session ID, the Heroku app can use that token to make REST API calls on the user’s behalf. If you don't send the session ID. there's no way to check that the request was valid or protect against malicious calls to your Heroku app’s API endpoint. In this example, each time a contact is created, the Heroku app receives the contact details and can do whatever it needs to with the data. The jsonContent method takes the trigger data and serializes it into JSON. The callout method makes the HTTP post to Heroku with the JSON payload. In the request handler, the req.body is the deserialized JSON data sent from the Apex trigger. With Apex triggers, you can use some form of pre-shared key to authenticate requests, avoiding the potential for malicious requests. You can also have the payload include a session ID to let the Heroku app make REST API requests back to Salesforce to fetch or update data.